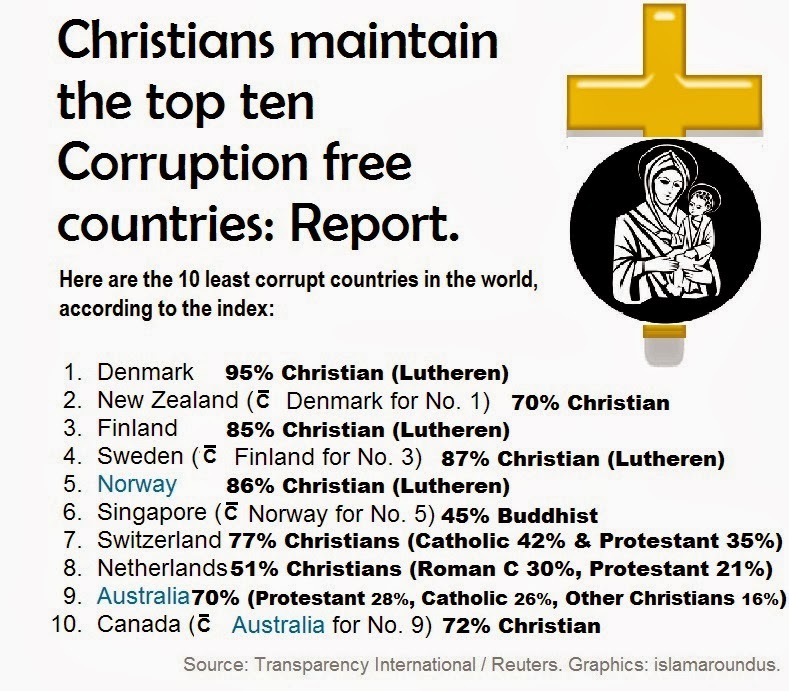 Islam Around Us: Corruption is the Crown of Islam. 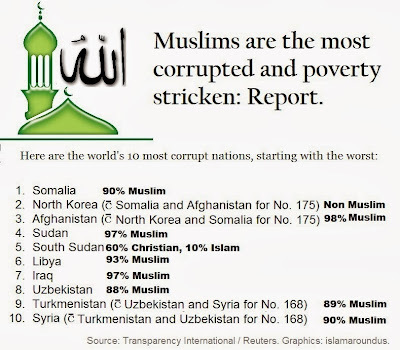 Eight Muslim majority Countries are among top Ten of the most corrupt list. Corruption is the Crown of Islam. 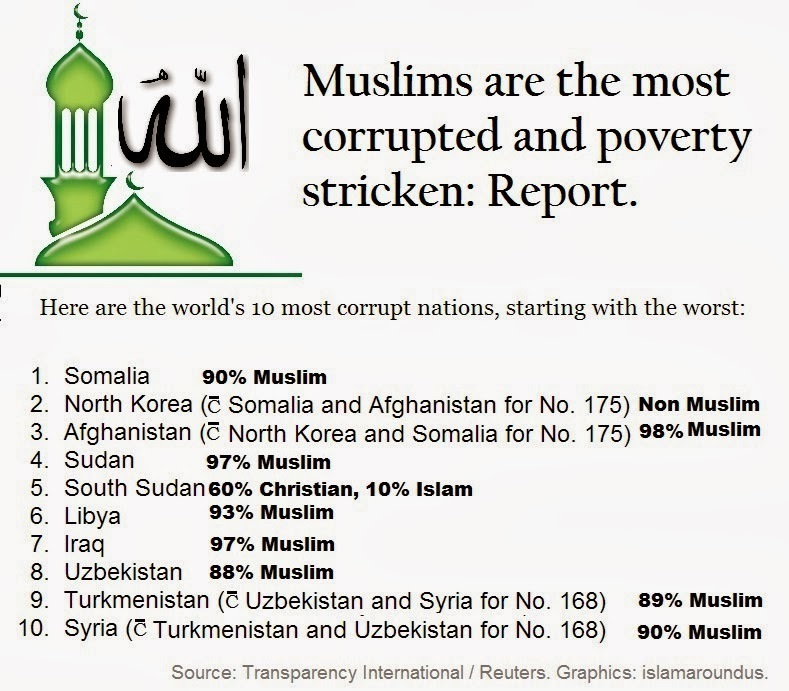 Eight Muslim majority Countries are among top Ten of the most corrupt list. Five Arab states top the most corrupt list. Inshallah! The 10 Most Corrupt and Least Corrupt Countries in the World. Reuters | Tue Dec 3, 2013:: In some countries, business owners can go their way in the happy knowledge that government officials won't be hitting them up for bribes or tossing them in jail on trumped-up charges. But in other parts of the world, public sector corruption is a fact of life. View: Corruption Perceptions Index 2012: TI. Courtesy: Reuters | Transparency International. 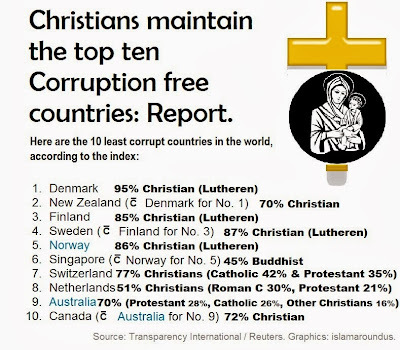 Corruption is not only related to religion.This should not be taken as honesty being a monopoly of Christian religion. All the world drug mafia is Catholic. Education and middle class culture and standard of living of the society have strong linkage to gap between poor and rich and corruption in society.